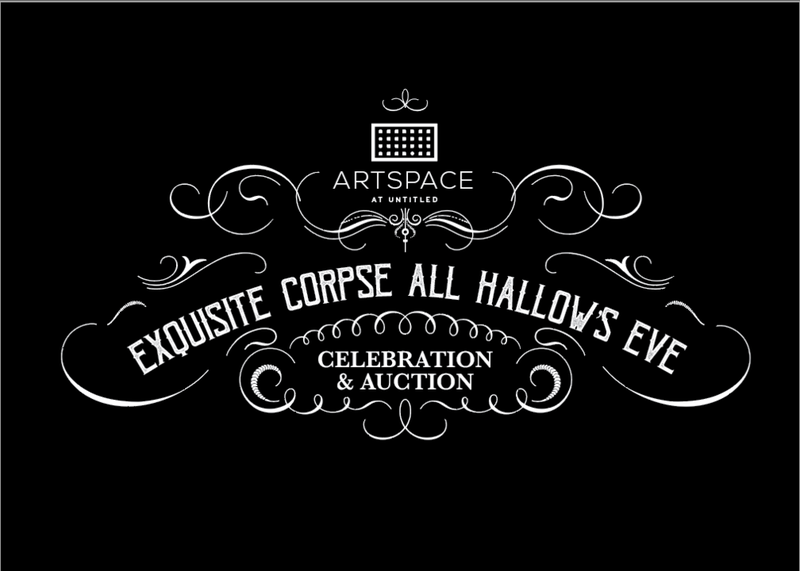 October 26th from 7-10 PM ARTSPACE at Untitled hosted the Exquisite Corpse All Hallow's Eve Celebration and Auction! Attendees were immersed in a ghostly evening including art, music, food, drink, games, auctions, and much more! This event celebrated the Exquisite Corpse Exhibition, but was also ARTSPACE's primary fundraising event. This creative event transformed the traditional fundraiser into an out of this world celebration with palm readers, sword swallowers, singing corpses, photo-ops, a screening of the Rocky Horror Picture Show and more! Guests came and had their fortune told while supporting and expanding ARTSPACE's mission of providing innovative contemporary art to the public and educational programming to OKC students through our Mentorship Program. Attendees received a special preview of ARTSPACE’s Exquisite Corpse Exhibition, which follows the spirit of collaboration and inventiveness of the surrealist movement by bringing together Oklahoma’s art community for an assembled-art experience. Over 60 local artists collaborated to bring the Exquisite Corpse Exhibition to life. ALL PROCEEDS FROM THIS EVENT Went TOWARDS SUSTAINING AND EXPANDING ARTSPACE'S MISSION OF PROVIDING INNOVATIVE CONTEMPORARY ART to the public AND EDUCATIONAL PROGRAMMING to OKC students through OUR MENTORSHIP PROGRAM. With your contributions we could not continue providing programming ini art, film, workshops, local music and mentorship. Originally invented by surrealists in the early 1900s, the exquisite corpse is a game in which players write on a sheet of paper, fold it to conceal part of the writing, and then pass it to the next player for further contribution. Throughout the decades, the game has evolved into many meanings and themes, and here at ARTSPACE, our exquisite corpse resides as a collaborative exhibition and fundraiser. For the exhibition, 20 individual artists were asked to draw three pieces of the corpse in black-and-white, making a whole body. Those pieces were then distributed to 40 different local artists to create colorful, imaginative figures with the pre-existing outlines. The completed pieces are be mixed-and-matched and displayed in the curated exhibition of the Exquisite Corpse at ARTSPACE from October 31st to November 24th.